Workshop “What corporate off-takers need to know about renewables and energy storage"
Our traditional workshops were mainly for renewable energy and energy storage companies. Our new workshop addresses directly commercial and industrial off-takers. Renewables and energy storage are trend topics! What is really important for your business? 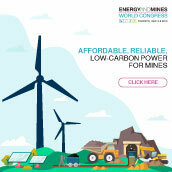 We also offer a special version of this workshop for mining companies! Interested? Please contact us for more details! Workshop “Commercial and Industrial Applications for Renewables and Energy Storage in Africa"
Commercial and industrial off-takers might become a main driver for the energy transition in Africa. THEnergy has been following this attractive market segment for years. In addition, we integrate continuously the outcome from an on-going survey. The workshop targets potential investors, political decision makers, and technology suppliers! It typically lasts approximately 5 hours. Workshop “Introduction to Rural Electrification"
For several years, we have seen significant investments into PAY-AS-YOU-GO (PAYG) solar-home systems players. Now, the minigrid sectors seems to follow. New investments from companies such as Shell, Engie, Mitsui, Total, All On, and Caterpillar this segment experience much attention by the international community. How do minigrids work? How do they compare to PAYG solar-home systems? What about grid extensions? How is regulation influencing potential investments? Which are the main mini-grid developers? Which technology trends can be observed? The workshop targets potential investors, political decision makers, and suppliers! It typically lasts 4-6 hours. Interested? Please contact us for commercial details and a tailor-made agenda! The workshop lays the commercial foundations of remote microgrids – mainly solar-diesel and wind-diesel hybrid power plants. It covers the technical basics that are needed for evaluating the business case. It also covers numerous case studies in different market segments. Different players along the value chain are discussed and key success factors are identified. The workshop has been conducted more than 25 times so far and the participants have been highly satisfied with the amount of information they have received. Normally, the workshop is very interactive. It typically lasts between 3 and 5 hours. In a very condensed form you will receive market information that elsewise would take you weeks to gather. It will also help you with the decision of whether it makes sense for your particular organization to enter the hybrid market segment. So even if you are not active in remote minigrids yet, do not hesitate to contact us so that we can discuss an agenda that is tailor-made for your needs. The workshop covers various commercial aspects of PPA negotiations for hybrid microgrids. It typically is arranged for the employees of our clients who deal with PPA negotiations. The workshop is tailor-made for the specific challenges of hybrid projects. As hybrid projects are more complex than normal grid-connected PPAs it might also make sense to train decision-makers involved that instead work on standard PPAs – practicing a highly sophisticated case also prepares for simple PPA negotiations. The workshop also describes different strategies of negotiation. It typically contains a role play about negotiating a fictitious solar-diesel hybrid business case with an industrial off-taker. It is aimed at both sides, renewable energy developers as well as commercial and industrial off-takers. The workshop can be adapted to the needs of our clients and normally lasts between 4 - 7 hours. Curious? Please contact us for commercial details and a tailor-made agenda!